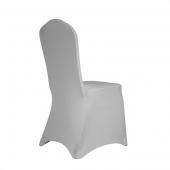 Explore the classiest selection of Banquet Chair Covers and Choose the ideal color for your event. 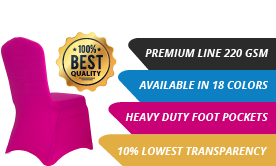 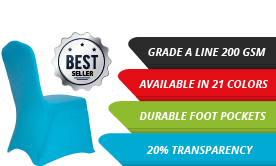 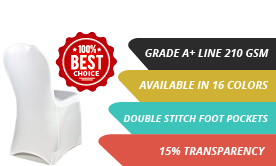 Shop our premium heavy duty chair covers at factory direct prices! 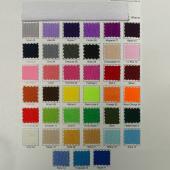 Many colors available! 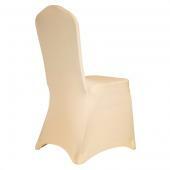 220 GSM Premium Quality Spandex (Lycra) Banquet & Wedding Chair Cover By Eastern Mills - Many Color Options ! Event Decor Direct understands the importance of proper seating for your guests. 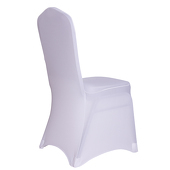 Thankfully, there are many options available to suit your theme, budget, and style when purchasing seating and covers for your wedding or other event. Spandex (lycra) chair covers not only add a bit of color and personality to your event, but they also turn ordinary chairs into elegant pieces of furniture. 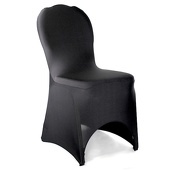 When choosing spandex chair covers, be sure to consider how many guests will be attending your event. 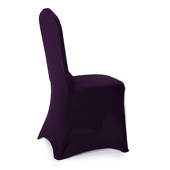 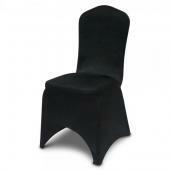 If planning a large event with numerous guests, purchase multiple spandex lycra chair covers in a lot of 50. 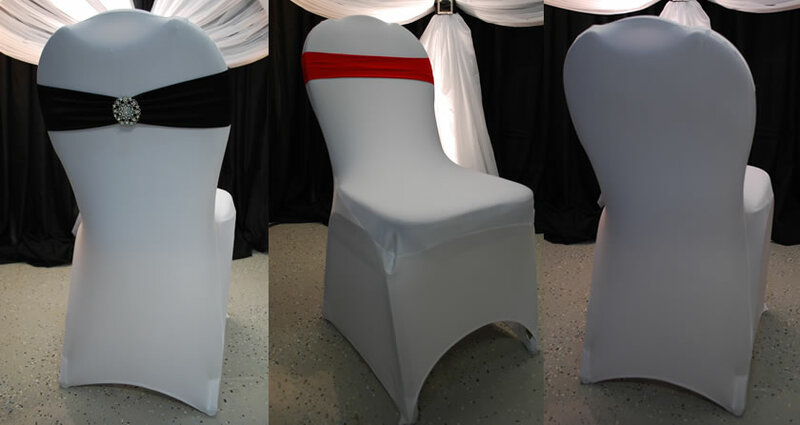 In a black satin finish and white accent ribbon, the covers are elegant and affordable. 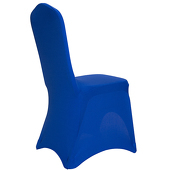 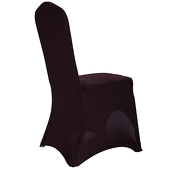 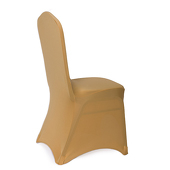 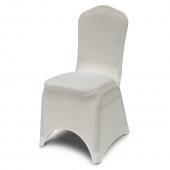 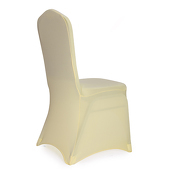 If you prefer something other than black, purchase traditional wholesale spandex chair covers in a variety of colors. 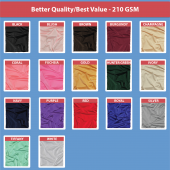 Every shade of blue, red, green, purple, pink, and cream are available in a heavy duty spandex material. 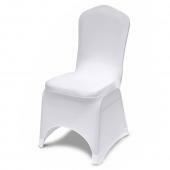 Simple to use over square backed chairs, spandex (lycra) chair covers can be pulled over the chairs and secured by simply tucking in the corners. 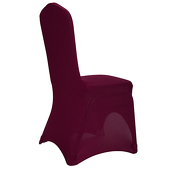 The material is also easy to clean. 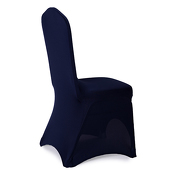 If there is a spill on these spandex lycra chair covers, use a cloth to wipe off the excess liquid. 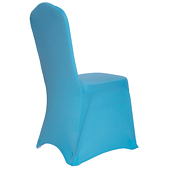 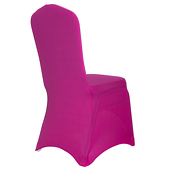 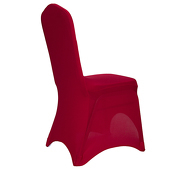 Spandex lycra chair covers are beautiful accents for your ordinary chairs. 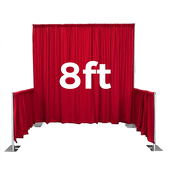 They are perfect decorations for weddings, receptions, professional meetings, and shows. Customers who are interested in wholesale lycra chair covers also purchase Chair Tutus, Seat Cushions, Ruched Chair Covers and Scuba Chair Covers.